Anthony Joshua is making his long awaited stateside debut against the undefeated American Jarrell Miller on June 1st, at the iconic Madison Square Garden. Our VIP packages give you the best of everything. Return official charter flight which includes hot catering & complimentary bar. Private check in on both sides of the Atlantic. Private transfers waiting on arival to whisk you to your luxury hotel. The 4* Deluxe Stewart hotel with its high energy Midtown location puts you at the crossroads of the city’s most iconic neighbourhood districts. You’ll be staying near Chelsea, just steps away from Times Square and Fifth Avenue – the location for the official party on Friday night. Join us on the rooftop of the famous Knickerbocker for this invite-only Friday night VIP party. This is going to be THE place to be seen with some famous names in boxing on the guest list. You will enjoy a complimentary bar, including all spirits and food served from arrival. What a way to start your weekend! This has everything. From the best way to travel to the biggest pre-party event in town, not to mention access to our best located reserved seating. Impress your clients or treat yourself. Come with us to New York and be part of the biggest sporting event on the planet. England v Australia @ Headingley Leeds – THE ASHES. Ashes Test Matches under normal circumstances are special BUT when the Ashes Test 2019 is at Headingley Cricket Ground, Leeds the home of Yorkshire Cricket you are guaranteed an experience not to be missed under any circumstances. Yorkshire has a proud cricketing history and test cricket has been played here since 1898. The list of capped players including the likes of Sutcliffe, trueman, Illingworth, Boycott, Gale, Hoggard and of course current England Captain and proud Yorkshireman Joe Root read like a cricketing who’s who. For many, an Ashes Test at Headingley, Leeds is a once in a lifetime experience so join us for VIP Ashes Hospitality at Headingley Cricket Ground and experience this test match in Yorkshire hospitality style. VIP Headingley Hospitality is available in our executive restaurant and glass fronted boxes – perfect for entertaining clients, staff, family and friends. Your Full day VIP hospitality at the Ashes Headingley, Leeds includes breakfast rolls, delicious lunch, afternoon tea, complimentary bar throughout the day and of course best seats in the house – perfect for watching world class cricket. Corporate hospitality offers on Wimbledon 2019 – Missed out on seeing Djokovic regain his crown or kerber deny Williams her 24th Grand Slam title? Book early with our fantastic Wimbledon 2019 VIP Corporate hospitality packages. Debenture and full VIP Hospitality for Wimbledon 2019 are available. Whether you’re looking for a particular corporate hospitality facility or restaurant such as the Gatsby Club, Skyview Suite or Fairway Village, talk to our dedicated Events Team who can discuss your requirements with you. Bookings for 2 upwards can be made with private tables for 8-12 guests. Private facilities are also available on request. Don’t miss your opportunity to see the action at Wimbledon 2019! Royal Ascot 2019 Corporate hospitality offers – Experience stunning VIP hospitality at Ascot, one of Britain’s most popular race meetings. Whether you are attending the popular Ascot Ladies Day Meeting, Ascot Gold Cup day or any of the other excellent race meetings our VIP hospitality restaurant with Private Viewing Pavilion offers you the opportunity to attend the world’s greatest sporting and social event at an unbelievable price. Your VIP Royal Ascot Package includes: Trackside hospitality, Race Card Per Person, Tote Betting, Morning Coffee, Pimm’s Reception, Four Course Silver Service Luncheon, Afternoon Tea, Complimentary Bar, Celebrity Guest Speaker, Racing Newspapers, Colour TV Monitors, Car Parking (1:4), Executive Toilet Facilities, VIP Hostess Service. Enjoy the Royal Procession, Racing and Social Spectacle in opulence and style! Your VIP Cheltenham Corporate hospitality Package includes: Members lawn and club enclosure admission, Champagne reception, four course lunch, afternoon tea, complimentary bar, race card, guest tipster, car parking (1:4), uniformed hostess service, event management in attendance. The full VIP day of wining and dining and the Olympics of the steeplechase. Visit our Cheltenham Festival website pages or call us on 0844 248 1738. Just Released – Aspall Tennis Classic at Hurlingham – 26th to 29th June 2018; Unique Opportunity to meet a Tournament Legend! The Aspall Tennis classic at Hurlingham is one of the most intimate tennis events. A unique opportunity to watch competitive singles matches with the World’s top ATP players of today and entertaining doubles featuring tennis legends. Over it’s 24 year history the Aspall Tennis Classic has hosted players such as Rafael Nadal, Andy Murray, Andy Roddick, Boris Becker and Pete Sampras. Book the Player Meet & Greet Package and enjoy a private area overlooking the prestigious lawns of the illustrious Hurlingham Club – set aside during the champagne reception exclusively for your guests; receive an intimate meet and greet and Q&A with a tournament legend in your private area; opportunity for guests to take photographs and receive signed memorabilia. Tennis VIP Hospitality to include: Champagne & canapé’s reception; intimate two course gourmet lunch in the prestigious Hurlingham Club private dining area; Complimentary beer, wine & soft drinks throughout the entire day; 3 matches on Centre court including top 10 ATP players; Premium reserved grandstand seating; Official tournament programme for every guest; Guest Parking. See our Tennis Category for dates, packages and booking. Stadium Events are pleased to offer an option on two great days at the 2018 Henley Regatta at a great price. Enjoy either the opening day of the festival on Wednesday 4th July 2018 or the penultimate day, Saturday 7th July 2018 at this special offer price. CLICK HERE TO SEE PRICES & DETAILS. Check out the Special Offers category of our website for the chance to meet your favourite sports celebrities including Warren Gatland OBE, Sir Clive Woodward, Judy Murray, Austin Healey, Kyran Bracken, Will Carling OBE, Michael Vaughan OBE, Phil Tuffnell, Jason Leonard OBE, Paul Merson, Sam Allardyce, Eddie Jones, Harry Redknapp, Sir Bradley Wiggins, Lawrence Dallaglio OBE, David Flatman. 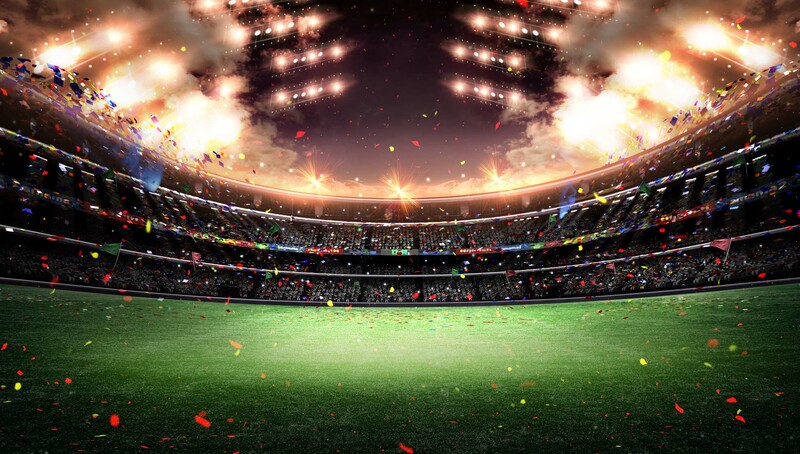 Don’t miss out on the first of the series “The Edge – Lessons Learned from Sport” What could you and your Business learn from the world of Elite Sport? With Warren Gatland OBE, Sir Clive Woodward, Judy Murray – Friday 15th September 2017. Stadium Events offer the finest VIP corporate hospitality at major national and international sporting events.